Step 1. 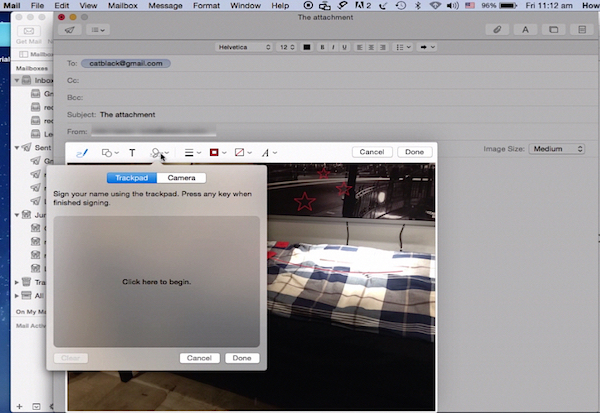 For that you simply open up your Mail client, create your email and access the drop-down menu that gives you access to lines, arrows and shapes that you can apply on your image. Step 2. You can also add your signature on the document directly from your track pad if you’re using a MacBook. Result: Now that you’ve learned how to extremely personalize your emails, go out and make the most out of your creative mailing. 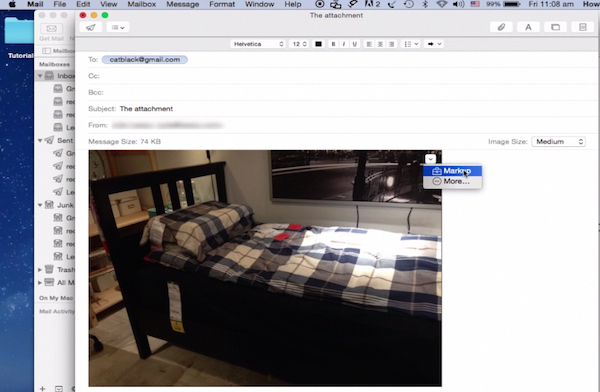 You’ve just learned how to annotate attachments in Mac OS X Yosemite Mail app.